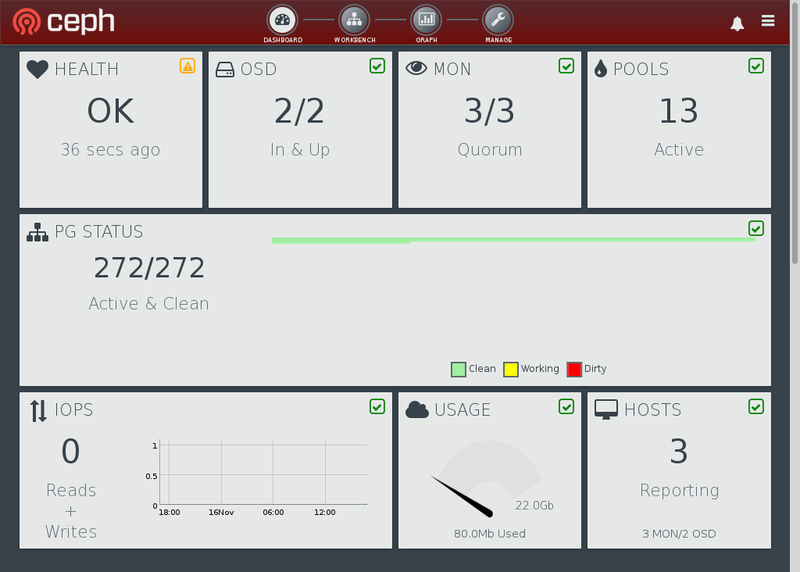 Specifically, this post is about Calamari, which was originally delivered as a proprietary dashboard as part of Inktank Ceph Enterprise, but has since been open sourced. It’s a Django app, split into a backend REST API and a frontend GUI implemented in terms of that backend. The upstream build process uses Vagrant, and is fine for development environments, but (TL;DR) doesn’t work for building more generic distro packages inside OBS. So I’ve got a separate branch that unpicks the build a little bit, makes sure Calamari is installed to FHS paths instead of /opt/calamari, and relies on regular packages for all its dependencies rather than packing everything into a Python virtualenv. I posted some more details about this to the Calamari mailing list. 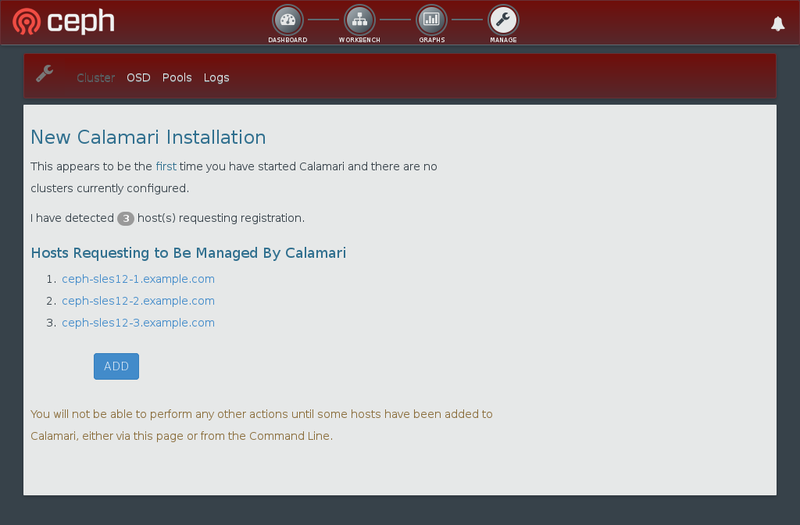 Getting Calamari running on openSUSE is pretty straightforward, assuming you’ve already got a Ceph cluster configured. In addition to your Ceph nodes you will need one more host (which can be a VM, if you like), on which Calamari will be installed. Let’s call that the admin node. Next, on your admin node, install and initialize Calamari. The calamari-ctl command will prompt you to create an administrative user, which you will use later to log in to Calamari. 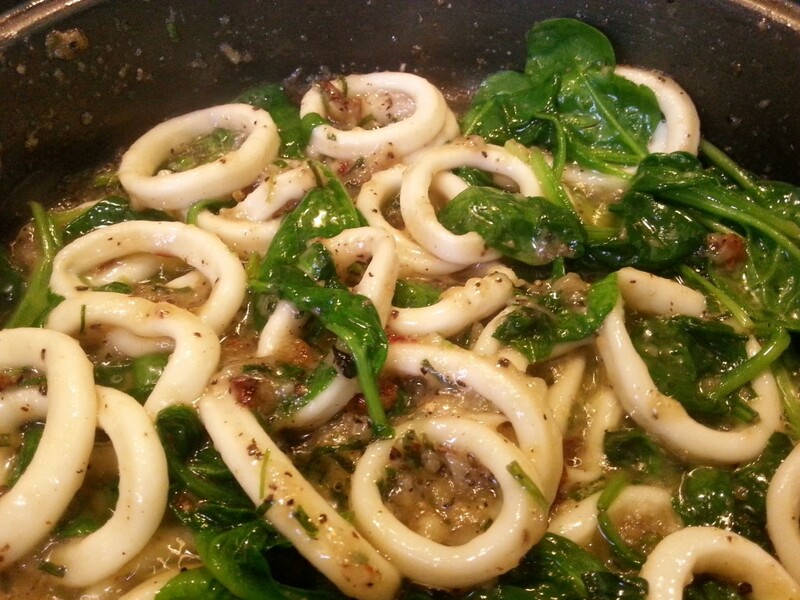 Now log in to Calamari in your web browser (go to http://CALAMARI-SERVER/). 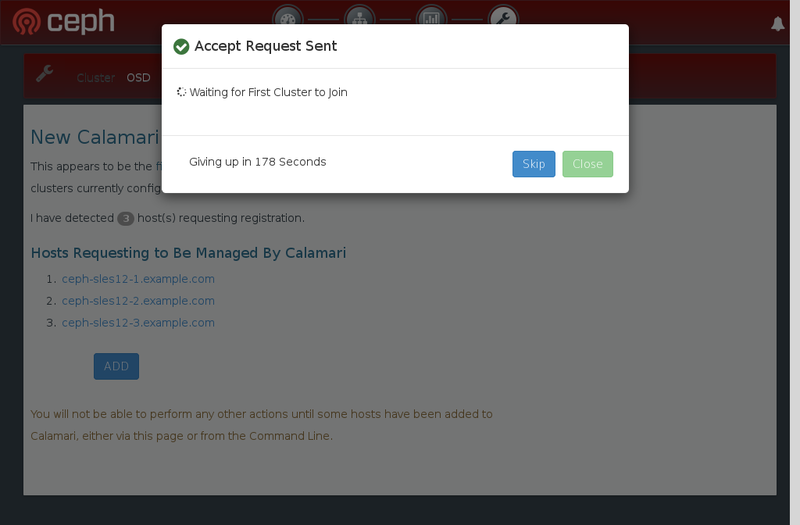 Calamari will tell you your Ceph hosts are requesting they be managed by Calamari. Click the “Add” button to allow this. And you’re done. Go explore. You might like to put some load on your cluster and see what the performance graphs do. Unfortunately, at the time of writing, we don’t have a version of ceph-deploy on OBS which supports the calamari connect command on openSUSE or SLES. I do have a SUSE-specific patch for ceph-deploy to fix this (feel free to use this if you like), but rather than tacking that onto our build of ceph-deploy I’d rather push something more sensible upstream, given the patch as written would break support for other distros. The systemsmanagement:calamari project presently builds everything for openSUSE 13.1, 13.2, Tumbleweed and Factory. You should be able to use the packages supplied to run a Calamari server on any of these distros. Additionally, I’m building salt (which is how the Ceph nodes talk to Calamari) and diamond (the metrics collector) for SLE 11 SP3 and SLE 12. This means you should be able to use these packages to connect Calamari running on openSUSE to a Ceph cluster running on SLES, should you so choose. If you try that and hit any missing Python dependencies, you’ll need to get these from devel:languages:python. Then, make the Calamari server forget the salt keys, ceph nodes and ceph cluster. You need to use the backend REST API for this. Visit each of /api/v2/key, /api/v2/server and /api/v2/cluster in your browser. Look at the list of resources, and for each item to be deleted, construct the URL for that and click “Delete”. John Spray also mentioned this on the mailing list, and helpfully included a couple of screenshots. This will make Calamari forget all the old clusters and hosts it knows about, but will not clear out the salt minion keys from the salt master. This is fine if you’re reusing the same nodes for your new cluster. Update: for those who were hoping for an actual food recipe, please see this discussion. This entry was posted in Uncategorized and tagged ceph, linux, opensuse, salt by Tim. Bookmark the permalink.